In this era of low oil and gas commodity prices, improvements to processes and technology efficiencies are emerging as critical success factors. According to an Ernst & Young survey, 89 percent of the polled global oil and gas executives expect to increase their investment in digital technologies over the next two years. This result affirms the idea that smart, forward-thinking oil and gas companies recognize that digital transformation can help them improve current processes and meet future needs. Justifying the financial benefits is always one of the toughest challenges of any organizational investment. Fortunately, there’s no doubt of the economic advantages of implementing these new tools. For example, the World Economic Forum estimates that digital transformation in the oil and gas industry could potentially create around $1 trillion of value for oil and gas companies. Technology breakthroughs in the industry can also enable efficiency improvements without high CAPEX and OPEX. In fact, using digital technologies effectively could actually reduce capital expenditures by up to 20 percent. Today, investments in connected technologies and the Industrial Internet of Things (IIoT), as well as the adoption of advanced analytics, are enabling companies to better control and monitor critical assets. This improved insight and control is resulting in long-term benefits through improved process efficiency, maintenance strategies, and asset utilization. These tools have revolutionized decision making because companies now have access to real-time data for more strategic, efficient, and faster decision making and execution. 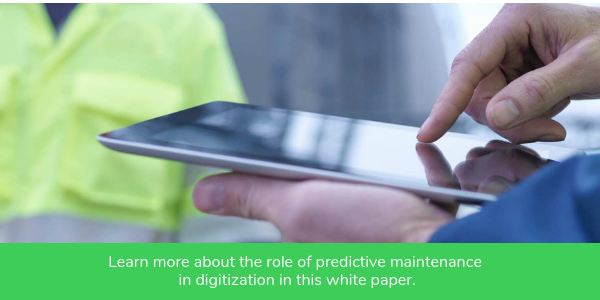 Using real-time condition data from critical connected assets, for example, facility managers can continuously monitor asset health and receive advanced notification if any asset exhibits abnormal behavior. Potential problems are then addressed long before there is a safety risk or a costly impact to plant operations. A global petrochemical company provides a real-life example of how industrial companies benefit from implementing digital technologies such as IIoT and data analytics. In this example, the petrochemical company has implemented an advanced IIoT-enabled asset monitoring solution that monitors oil transformers, medium voltage switchgear, low voltage switchgear, and variable speed drives (VSDs). Within six months of deployment, the company had unexpected discoveries that enabled process and asset optimization. In addition, they avoided potential failures due to errors in settings, configuration, and sizing of the VSDs that supplied the centrifuge pumps. By utilizing these data-driven solutions, the operations team implemented changes that drove improvements in asset utilization and process optimization. Additionally, the company was able to receive advanced warning of abnormal asset behavior, enabling the company to proactively address the issue, thereby avoiding costly unplanned downtime. Finally, the company has gained measurable improvements in areas like operator safety and plant productivity, and has expanded predictive maintenance capabilities to optimize equipment use and maintenance cost.